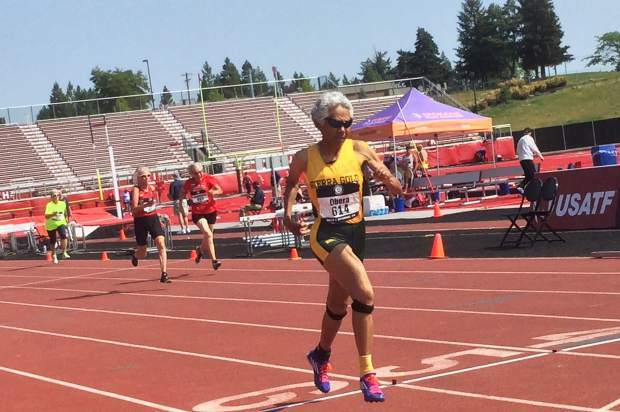 Sierra Gold athlete Irene Obera won three events at the 2018 USATF National Masters Track & Field Championships in Spokane, Washington. Obera earned national championships in women's 80-84 100-meter, 200m and long jump events. 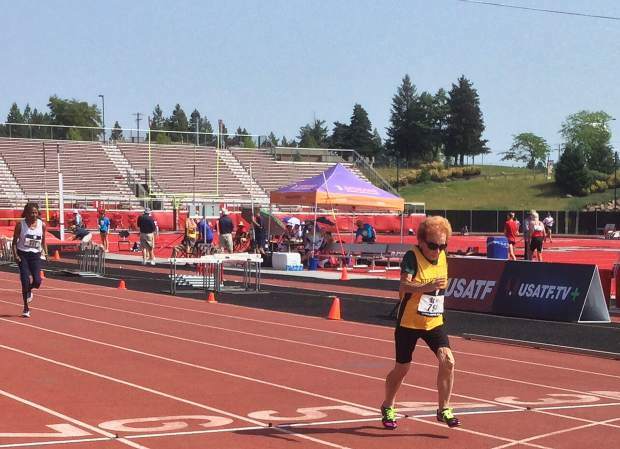 Sierra Gold athlete Betts Stroh won three events at the 2018 USATF National Masters Track & Field Championships in Spokane, Washington. Obera earned national championships in women's 85-89 100-meter, 200m and long jump events. 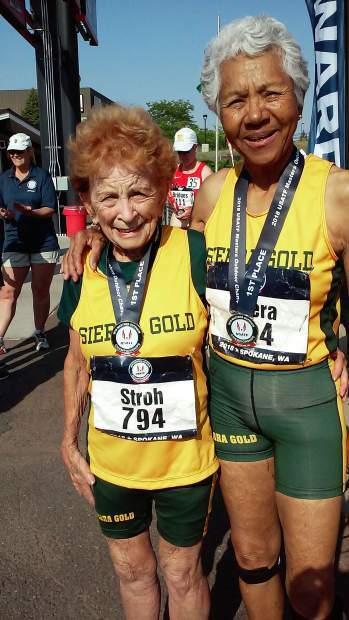 Sierra Gold athletes Betts Stroh, left, and Irene Obera combined to win six titles at the 2018 USATF National Masters Track & Field Championships in Spokane, Washington. 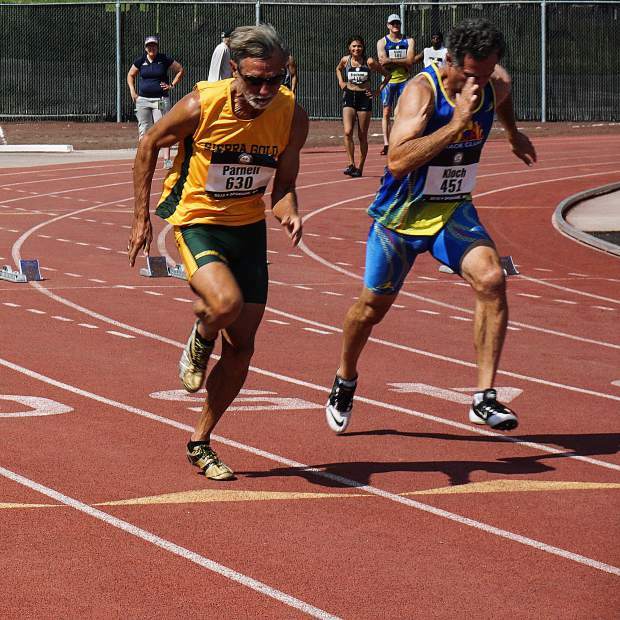 Sierra Gold's Bob Thurman competes at the 2018 USATF National Masters Track & Field Championships in Spokane, Washington. 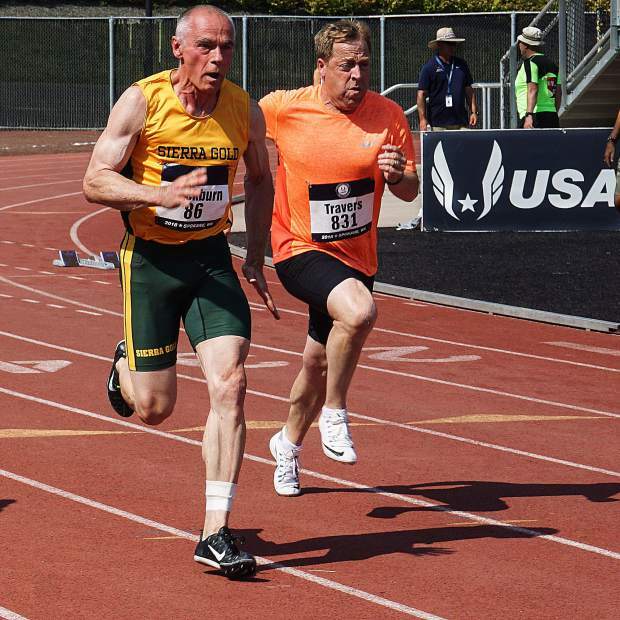 Sierra Gold's Bob Blackburn competes at the 2018 USATF National Masters Track & Field Championships in Spokane, Washington. Blackburn earned second place in the men's 60-65 100-meter dash. He also placed second in the long jump and 4x100m relay. 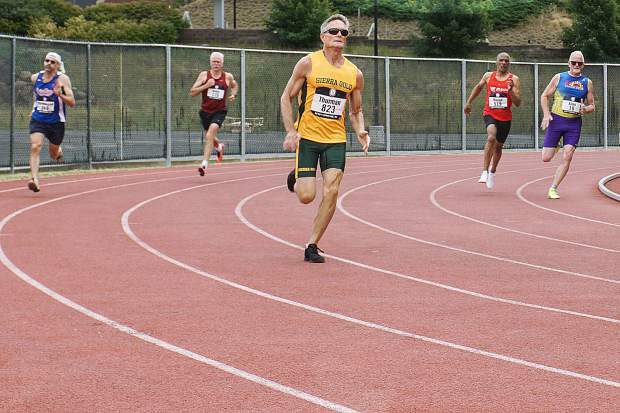 Sierra Gold's Roger Parnell competes at the 2018 USATF National Masters Track & Field Championships in Spokane, Washington. Parnell earned second place in the men's 65-69 100-meter dash and long jump. 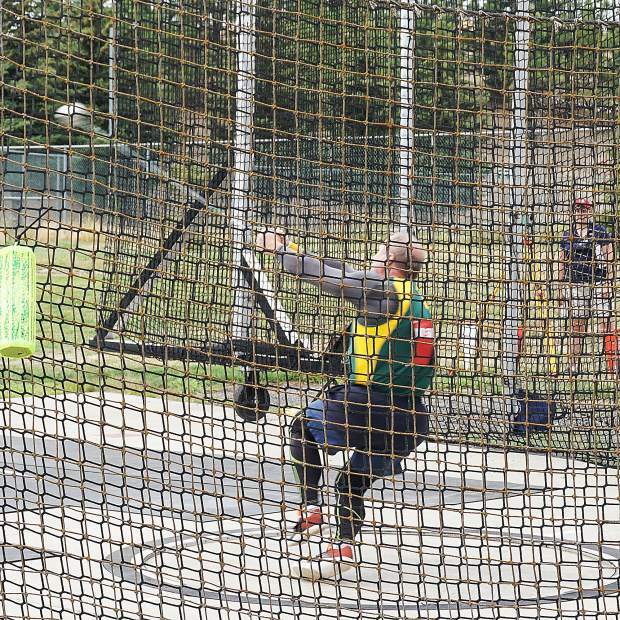 Steve Adelman impressed in the throwing events at the 2018 USATF National Masters Track & Field Championships, earning national titles in the men’s 50-54 hammer throw and weight throw. With an opportunity to compete on a national stage, Sierra Gold shined. The Nevada County based track and field team made its way to Spokane, Washington over the weekend for the 2018 USATF National Masters Track & Field Championships where it placed second as a team and its athletes earned 15 individual national championships. Earning three individual national championships was Sierra Gold athlete Irene Obera. 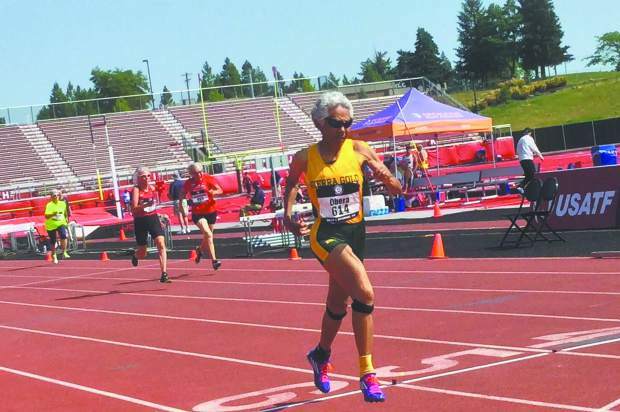 Competing in the women’s 80-84 age group, Obera took first place in the 100-meter, 200m and the long jump. Also earning three national championships was Betts Stroh, winning the 100m, 200m and long jump in the women’s 85-89 age group. Steve Adelman impressed in the throwing events with national championship efforts in the men’s 50-54 hammer throw and weight throw. 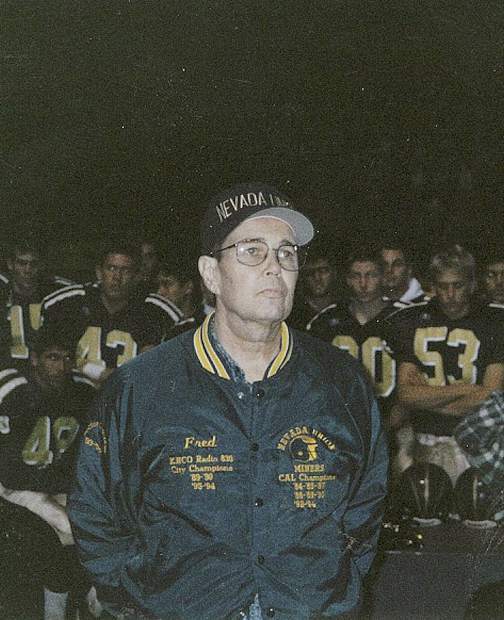 Also throwing their way to national titles was Richard Harrison and Durelle Schimek. Harrison won the men’s 45-49 shot put, and Schimek won the national championship in the women’s 50-54 javelin. Robert Thurman leaped to a national championship by winning the men’s 60-64 long jump. In distance running events, Sierra Gold’s Makie Ohler, Lynne Hurrell and Robert King all earned national titles. King won a pair, taking the top spot in the men’s 75-79 5,000m and 10,000m. Hurell, competing in the women’s 80-84 age group, won the 5,000m. Ohler won her national championship in the women’s 55-59 10,000m. 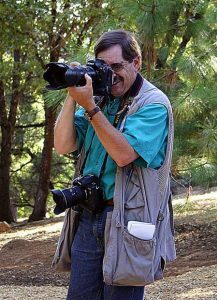 Sierra Gold athletes Bob Arnds, Patti Baker, James Beckett, Bob Blackburn, John Darlington, Richard Hotchkiss, Gordon Keller, Bob King, Dan King, Bobby Klemann, Brian Mayberry, John McNamee, Inka Mims, Michael Nevins, Roger Parnell, George Patterson Sr., and Kathy Slouber all competed at the National Championships, earning multiple podium finishes to Sierra Gold’s tally and contributing to the team’s overall score. As a team, Sierra Gold scored 326 points and finished second behind only So Cal Track Club. 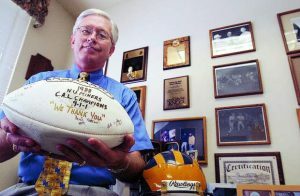 There were 108 teams and more than 1,000 athletes competing at the event which was held at Eastern Washington University.